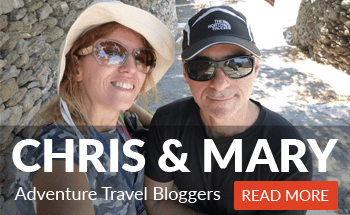 Even though my fascination with the natural world didn’t start until I was in my late 20’s and stressed out from work and responsibilities, I still remember vividly all of the camping adventures I had with my parents. 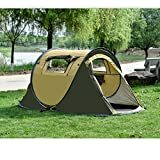 I have about 20 years of experience in camping, and I’ve gone through all of the weather conditions and all sorts of other tricky situations. 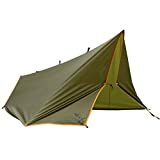 Still, one of the most common and annoying problems, that can destroy your camping trip in no time, if you didn’t come prepared is rain. 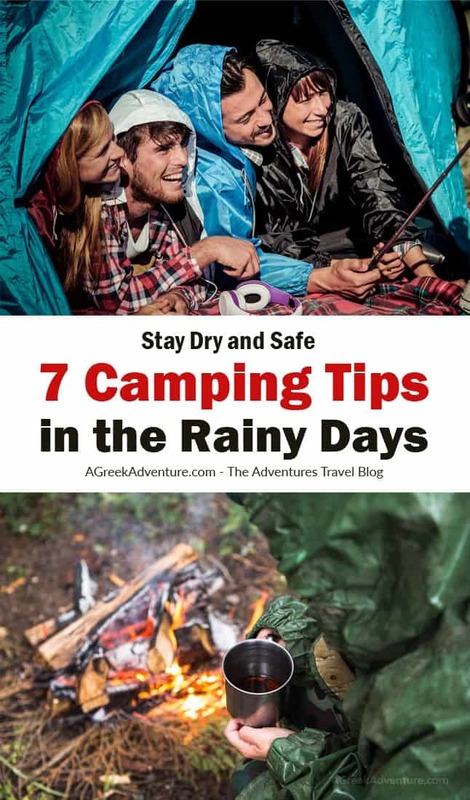 That’s why I decided to give you a few camping tips on how to get ready for rainy days or survive such days that come unexpectedly. When I was a child, my family had a beautiful tradition. Every year, for my birthday we would go out in the woods and turn the celebration into three-day camping. As I was born during summer, the weather was ideal for this kind of activity. However, on my eighth birthday, the sky just broke. As rain poured, our tent, pitched at the base of a north facing peak, became soaking wet. My sleeping bag, unlike everything else in the tent, did not float. That’s when I learned the first and by far the most valuable lesson – choose your campsite location wisely. So, the first camping tip is following: you should look for high, flat ground to pitch your tent on. Besides that, it is important that the area is well-drained, so you don’t end up swimming in your sleeping bag. Also, choose a campsite that is hidden under big trees, which will provide you with natural shelter from fierce winds. On the other hand, avoid campsites that are located near bodies of water or under overhanging branches. Sloping and depressed areas are a bad choice because water tends to accumulate here. 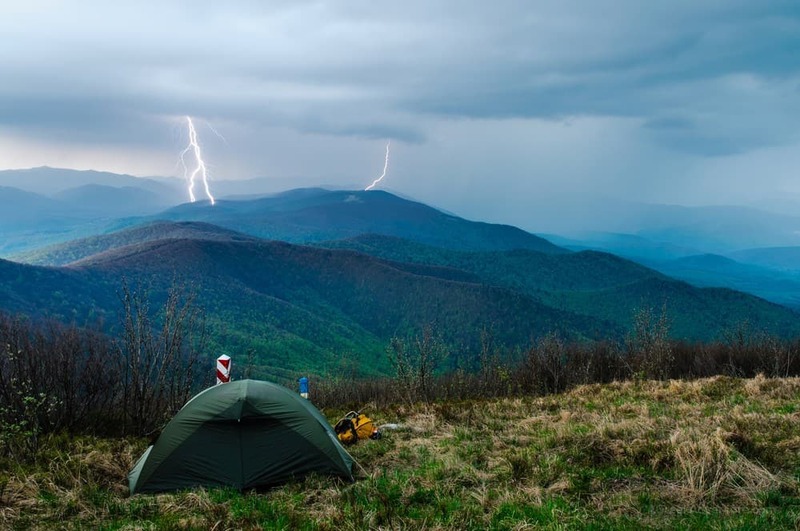 At last, remember to avoid camping under lone trees, because this significantly increases your chances of getting struck by lightning. One of the most important camping tips I learned through my outdoors adventures is to always waterproof your tent. 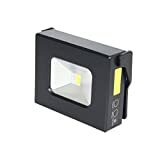 It will usually be able to prevent water from pouring in when the rain is light. 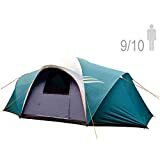 However, as tents are regularly cleaned, exposed to heat, wind, and all sorts of weather conditions, they wear down bit by bit, which affects their waterproof features. 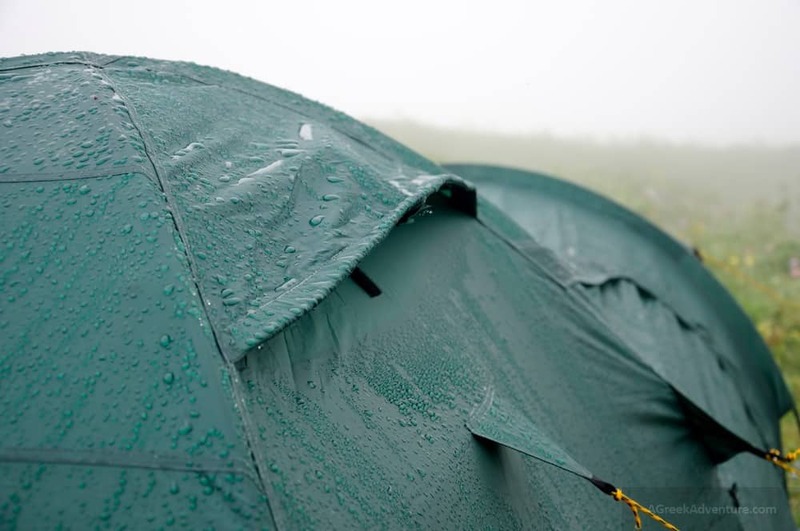 If you want to stay dry and comfortable on a rainy camping day, waterproofing is an absolute necessity. 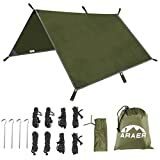 You’ll need to take care of tent’s walls, floor, seals and maybe even install a rain fly. If you want to learn more about waterproofing techniques, read this guide. 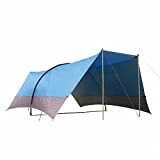 NTK LARAMI GT Tent up to 10 Persons, 12.8FT by 9.8FT by 6.9FT Height, 3 Season Camping 100% Waterproof 2500mm, Best Seller Deluxe Family Extra Large, Easy Color-Coded Assembly. When it comes to rainy days, plastic bags are life savers. Some camping tips are here to teach you how to pack smarter and so is this one. Always, make sure to bring plastic bags of all sizes and shapes. They are waterproof, and they will keep the majority of your stuff safe and dry. You should use them to segregate clothes and everything else in your backpack, line your bags to protect your belongings and most importantly keep your food dry and protected. Cheaper plastic bags are usually not reusable, but even those can serve the purpose for a single camping if you don’t have any other choice. However, don’t forget to dispose of them properly after use. 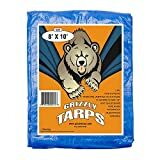 If you are a passionate camper and you’ve gone through all of the camping tips you can find on the internet, you probably already have a tarp. As you know, they are placed directly on the ground, beneath your tent. They create an extra layer of protection and barrier against water and when there is no rain, morning dew. You can get a classic woven polyurethane style tarps from a hardware store work for not more than thirty dollars. 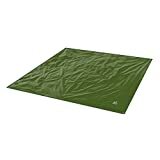 If you place a tarp inside your tent rather than outside, as you probably do in most of the cases; you’ll find it offers a much better protection from the water this way. Except for placing the tarp, you should take care of other types of insulation. Adding a bivvy bag will protect your sleeping bag from moisture, and retain a little heat. Doubling up on the sleeping pads is also one of the most useful camping tips I learned. Once you get in your bag and decide to go to sleep, make sure to keep your face exposed. Breathing into the bag may cause down insulation to get wet, which will affect its performance. There are camping tips that are literally lifesaving. One of them is minding the symptoms of hypothermia. 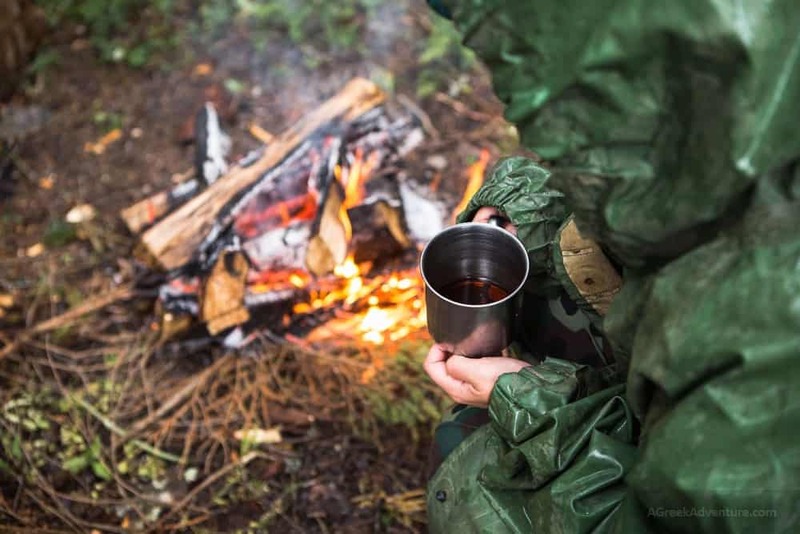 Staying wet from the rain for a long time can put you at risk, which often happens when rain surprises you on your camping trip. The most obvious signs are following: shivering, slurred speech or mumbling, slow and shallow breathing, weak pulse, drowsiness and low energy, clumsiness or lack of coordination, confusion, and loss of consciousness. If this happens to you, or someone you know, rush to the hospital. However, before you get there, you should start helping the person by removing all the wet clothing and covering them with dry blankets, clothes, and sleeping bags. Keep them warm and calm and monitor their temperature. All of your wet equipment, from clothing to shoes and tents, needs to be vented. As soon as you have a chance, unpack your bags and let your stuff thoroughly dry. Otherwise, molds, mildew, and other unpleasant scents will develop, ruin the fabric, and corrode metal items. Bio: Melanie Campbell is an outdoor and camping enthusiast behind Ardent Footsteps, enjoying this wonderful world since 2010. 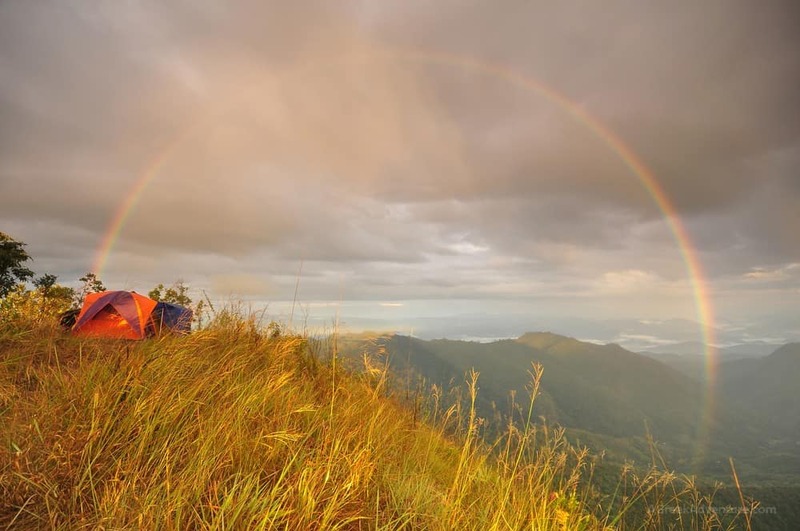 She shares expert advice when it comes to camping and outdoor trekking. With the main focus on making the most out of camping and outdoor adventures, Melanie will make you want to go out today!